In the late 1920s-1930s she worked for the League of Nations, specifically on disarmament conferences and retired in the 1940s as senior solicitor for the U.S. Department of the Interior. In 1942 she purchased Mount Airy (pictured above) in the Green Springs District and she lived in Louisa County until the early 1960s. During the 1940s, she spent a large part of her time working for the War Department in Washington DC and was often away from home. Very shortly after purchasing Mount Airy, she had a problem with one of her neighbors, Mr. Frank Dunn. Her cow got into his corn fields and ate and trampled his fields. This caused a disagreement between them, as she was too busy with her work to get back to him immediately. She also disagreed with him as to the amount of damage done to his corn field by her cow. After her cow got loose into Mr. Dunn’s corn fields, she and her agent and friend, Mr. Pettit, walked over the land to view the damage. They estimated that the cow had done ten dollars worth of damage, no more than fifteen. The cow was caught a few days later and she assured Mr. Dunn she would pay him for the damage caused. However, she was very busy with her work in Washington for the War Department and was not at the farm, or even in Louisa, for several weeks. Mr. Dunn took this to mean she was a liar and was not going to pay him for the damage. Mr. Pettit tried to help sort the whole situation out to no avail. Mr. Dunn wanted 25 dollars for the damage and Mrs. Greeley insisted that it was only 15 dollars of damage and would not pay the amount that Mr. Dunn had come up with on his own. After a while she finally wrote a long letter to Mr. Dunn explaining her busy work situation. She stated, “I realize that this can mean but little to you and yet in emergencies like these wartimes you may well imagine how with a legal staff being drained off into the armed services the burden of the enormous volume of legal business in this department, never light, becomes abnormally heavy for such lawyers as are left, especially for those of some experience like myself.” She wrote in a perfectly polite way and yet somehow subtly insulted him almost making it sound as if he did not support America’s efforts in the war. She went on to add that none of her other creditors had “yet expresse[d] any impatience or distrust because of [her] failure to communicate with [them].” She also stated in a mocking tone, that if she had “been able… to realize just how fearful a person” he was, she would have immediately given him her attention. She ends the letter agreeing to pay the full 25 dollars after spending several paragraphs showing that she thought it ridiculous to have to do so. This story about Helen Hoy Greeley reflects the strong personality she possessed. She was working non-stop for the War Department and running a farm practically by herself. She managed to hold her own in the issue with Mr. Dunn, managing to make him look unreasonable, even though she gave him what he wanted. RIGHTS AND REPRODUCTION POLICY All items in our archives have been donated to The Louisa County Historical Society with express permission to use them only for not-for-profit purposes of education and individual research. We make them available online to further those ends. Anyone wishing to use images online or in printed publications must obtain express written permission to do so from the Louisa County Historical Society and the legal copyright holder. Users assume full responsibility for disputes arising from copyright violations or invasions of privacy. 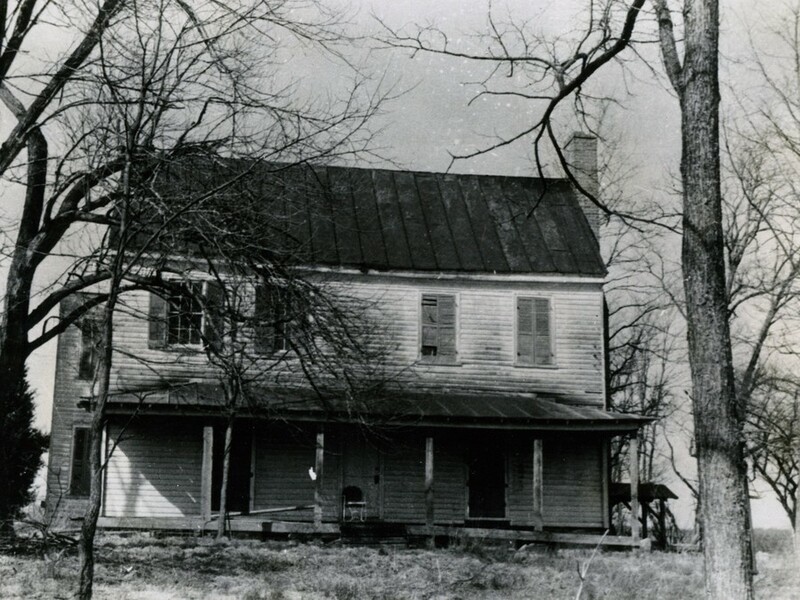 Photo by Claudia Chisholm, “Mount Airy: Home of Helen Hoy Greeley,” Piedmont Virginia Digital History: The Land Between the Rivers , accessed April 23, 2019, http://www.piedmontvahistory.org/archives14/items/show/375.